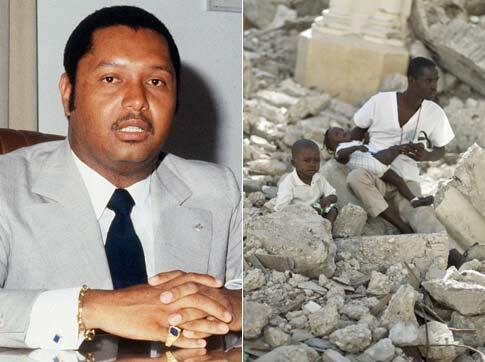 Former dictator of Haiti, Jean-Claude Duvalier returned to Haiti “to see what was going on” for the first time in 25 years due to his exile. Now this guy herrrrr done turned Haiti into a battleground during his reign. The last thing the people of this country need is for a person to inflict fear in their hearts. He previously asked the people of Haiti for forgiveness for his and his father’s, Francois “Papa Doc” Duvalier, mistakes. Currently Haiti is going through a serious political battle with the President regarding his elections. Keep Strong Haiti!! !